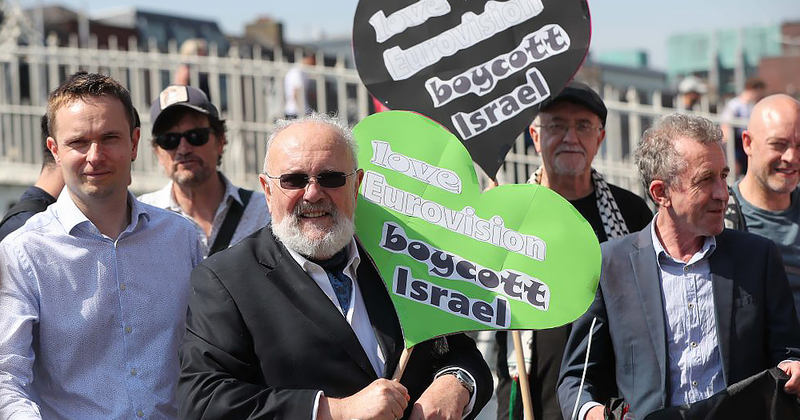 A number of notable figures including David Norris, Ailbhe Smyth and Kieran Rose have signed a petition which is an "Irish Call to Boycott Eurovision 2019 in Israel". News 28 June, 2018 . Written by Katie Donohoe. A number of well-known figures have lent their voices to the joint campaign to boycott next year’s Eurovision which is set to be held in Israel. The boycott campaign has been organised by the Ireland Palestine Solidarity Campaign (IPSC), PalFest Ireland and Trade Union Friends of Palestine. The campaign launched just as news broke that the Israeli government dropped the condition that the Eurovision must take place in Jerusalem. Amongst those who have already signed the petition to support the boycott which says Israel is “artwashing Israeli apartheid”. Celebrities showing their allegiance to the campaign include former Eurovision winner Charlie McGettigan, former Eurovision commentator Mike Murphy and music legends Christy Moore and Mary Black. In addition, campaign endorsement comes from Irish Nobel Peace Prize Winner Mairead Corrigan-Maguire; co-founder and former Chairperson of the Irish Anti-Apartheid Movement Gearoid ‘Garry’ Kilgallen; Ailbhe Smyth, Senator David Norris; Kieran Rose, marriage equality campaigner and first Mr Gay World Max Krzyzanowski, Cllr. Cian O’Callaghan and Senator Fintan Warfield, who were Ireland’s first and second openly gay mayors, and Senator Ivana Bacik, a leading LGBTQ+ ally. Speaking at the launch. renowned Irish artist and Riverdance set designer, Robert Ballagh said: “When Nelson Mandela visited Dublin soon after his release from prison in Robben Island, I asked him what role the international boycott of South Africa played in the ending of apartheid there. 28 June, 2018 . Written by Katie Donohoe.